When I was 9 years old, my mom went through a debilitating divorce from my stepdad and I moved in, permanently, it would turn out, with my dad and stepmom. 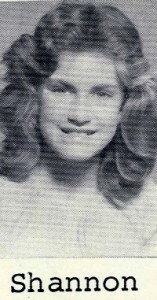 I felt like I was moving through the world with no skin on, as if I were a creature who’d lost its shell so that everyday problems — a mean kid on the playground, having no idea how to deal with my puberty-induced frizzy hair — seemed insurmountable. Then I met Kelly in the intimidatingly cross-eyed Mrs. Hibbard’s 4th grade class at Sycamore Elementary. 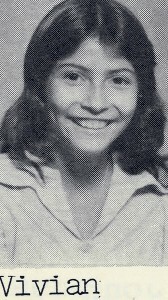 Kelly was a petite, gamine 4′ 10″ (although now I think she claims she’s 4′ 11″ — she’s the only one of us who isn’t shrinking). She was half-Mexican, half-Caucasian via Scotland. She was eagle-eyed, tigerishly intelligent, stubborn as a pit bull and fiercely selective in giving her friendship. I was her polar opposite; a people-pleaser who was friendly with everyone. A social butterfly. Years later, I asked her why she had chosen to befriend someone like me and she said very simply, “You were just so beautiful that I fell in love with you.” In doing so, she saved my life. If you were going to be friends with Kelly, then you were also going to be friends with Viv. Kelly and Viv grew up just down the street from each other and had been sisters by choice since kindergarten. They still finish each other’s sentences. Viv was one of about four Latina children in our elementary school and it wasn’t until years later that I discovered how hard that was for her. She was called names I won’t repeat here, but faced it with a spine of steel, determined to never let ’em see her cry. Viv wasn’t quite as interested in befriending me, the blonde-haired, blue-eyed new girl who fit right in, but slowly, she accepted me as part of Kelly’s package. Viv’s friendship wasn’t easily won, which made it all the more precious. And it wasn’t always easy being Viv’s friend because she was (and is) outrageously gorgeous, with flashing white teeth, a think mane of black curls and a dimple in her left cheek I envied. In high school the boys I loved loved her instead of me. But no boy would ever rend our friendship asunder. 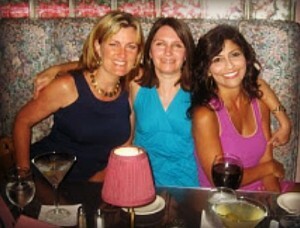 Kelly, Viv and I came to be known as the Hubba Hubba Girls in elementary school because we’d whisper, like old-timey Vaudeville performers, “Hubba, Hubba” when cute boys walked by. We passed furtive notes back and forth about our most passionate crushes, giving them code names to avoid detection. There was Juicy Fruit (his gum of choice), Tea (because of the brown color of his skin) and, I think, Sugarpops. (Kel? Viv? What was it? My peri-menopausal brain is at sea). To our horror, some of our notes were intercepted and decoded after which we’d go underground, flying beneath the radar on the playground, no more dominating the cannonball or tetherball courts or winning arm-wrestling competitions, until we could cook up new names for our unrequited paramours. 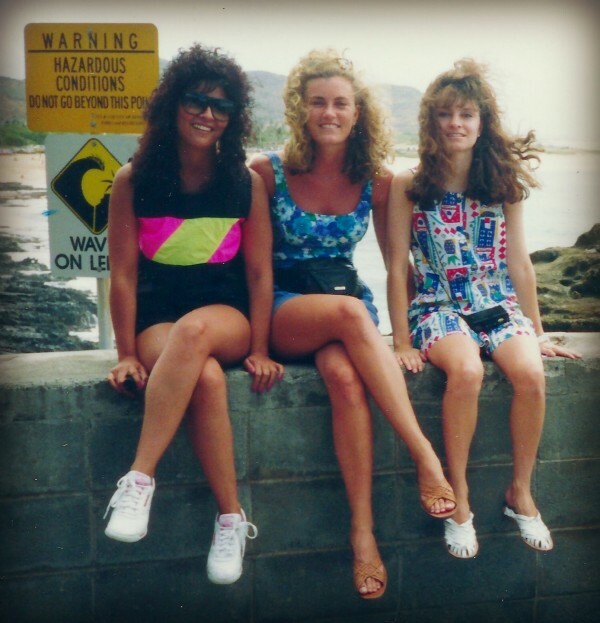 The Hubba Hubba girls in our 20s at Pearl Harbor in Oahu, 1990. But, it wasn’t our shared crushes that bonded us. 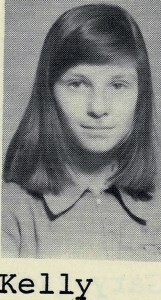 As it turns out, 1974, that difficult transitional year for me, was equally challenging for my friends. I won’t share their stories because they’re not mine to tell, but I think we each intuited a woundedness in the others that was inchoately felt before it was ever spoken. We fell into empathy with each other. Our similar sadness cancelled out the differences in our backgrounds and temperaments — and we had the ability to make each other laugh until we peed our pants. The Hubba Hubbas in Honolulu circa 1990. Over the years, our friendship has ebbed and flowed. There were times I felt a great distance from both of my oldest girlfriends. There were times we didn’t like each other very much. There were times I wondered whether we could reconnect or if we would simply just fade away. When I got married in 2001, I hadn’t been close with either Kelly or Viv for some time, but I knew they simply had to be in my wedding as bridesmaids,because they were partly responsible for me selecting a loving spouse. It was through their love that I learned to love myself. It was their love that mitigated the shifting sands during that difficult period in my childhood. They were my solid foundation. And it was their love that helped me recognize what loyalty looks like in my then-fiancé, Henry. He loved me as they did, unreservedly and despite all of my flaws. My wedding brought my friends back to me. Between us we had four daughters in three years. I can see in our daughters’ faces, our young faces lo those many years ago. It gives me so much joy that our daughters seem to have a very similar chemistry to the chemistry the Hubba Hubbas had at Sycamore Elementary. They’re inscrutably ironic, dry of humor, sharp of wit and silly as mice on helium. There’s not a Mean Girl among them. And nothing makes me happier than seeing them together. 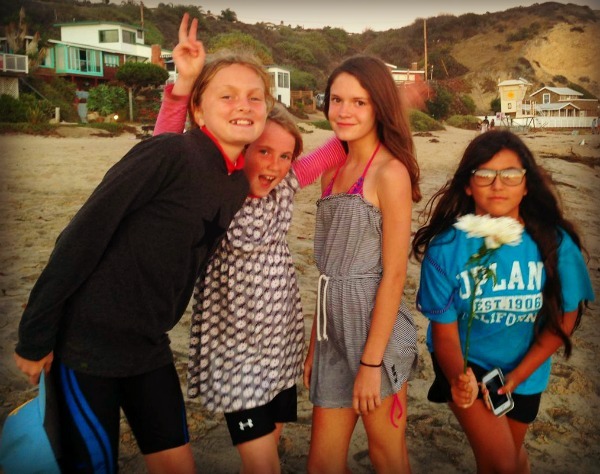 My girls, Clare and Bridget, and Kelly’s Haley and Viv’s Lexi at Crystal Cove in Newport Beach, July 2013. I want to say thank you to my fellow Hubba Hubba Girls for seeing me through the eye of the storm and out the other side. I know you’ll be there for me should times get rocky again. You are mine and I am yours. “Always and Forever” (the song of our friendship). I love you. Since its inception, the Proust Questionnaire — an unscientific but nonetheless illuminating personality test created in the salons of nineteenth-century Paris — has shed light on the character traits and quirks of the many men and women who have completed it. Named after the most famous early figure to fill out the questionnaire, Marcel Proust, a similar version of the one he took now lives on the back page ofVanity Fair each month, providing a look into the minds of well-known writers, actors, politicians and other public figures. When answering the question “What is your idea of perfect happiness?” Proust himself, at the age of 20, answered, “I really haven’t the courage to say what it is.” But some of our favorite women weren’t afraid to speak their joy. From baked potatoes to the great outdoors to peace of mind, here are 16 incredible women’s definitions of true happiness.